Providing Infant care, Toddler care and Prechool care in Kingston, NY. Nutritious meals and preschool curriculum included! We are allowed to administer prescription and over-the-counter medications. Drop-In spots available after registration. We are not a pet free environment. There is 2 dogs and 1 cat living in the home. 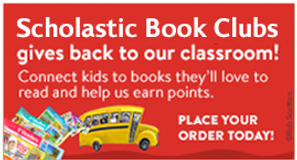 Order Scholastic Book Club books with us. © 2019 A is for Apple. All Rights Reserved.